The Central City Gift Card is the perfect gift for everyone on your shopping list this holiday season! 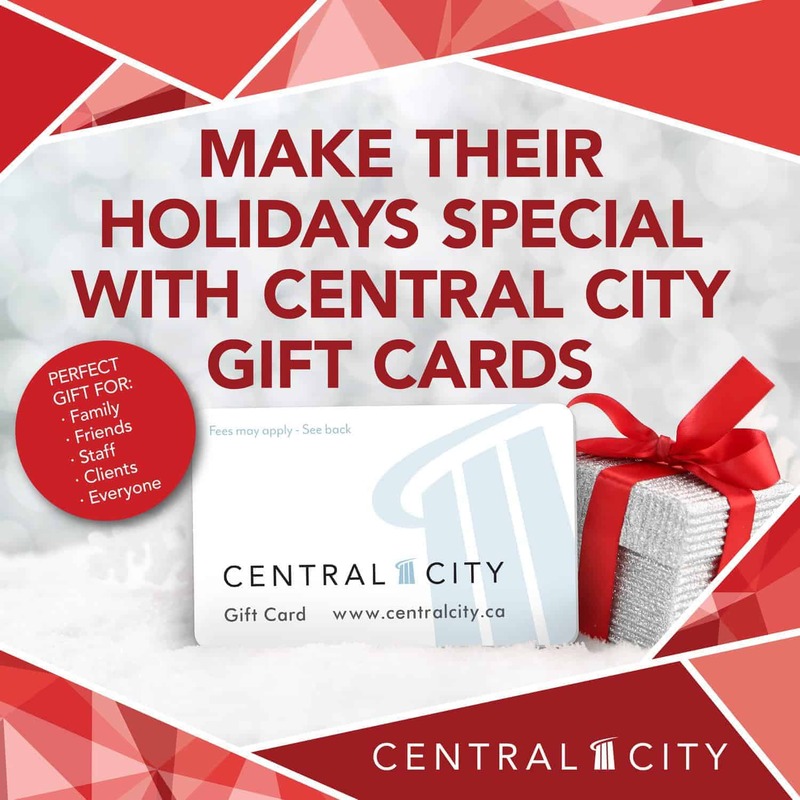 Central City Gift Cards are available in denominations ranging from $5 to $500 and are valid at most of the shopping centre’s 140 stores, restaurants, and services. Pick up a Central City Gift Card from Guest Services to give to your favourite babysitter, mail carrier, teacher, or anyone on your gift-giving list today. Visit Guest Services (on the upper level of the shopping centre near Best Buy) for more details.